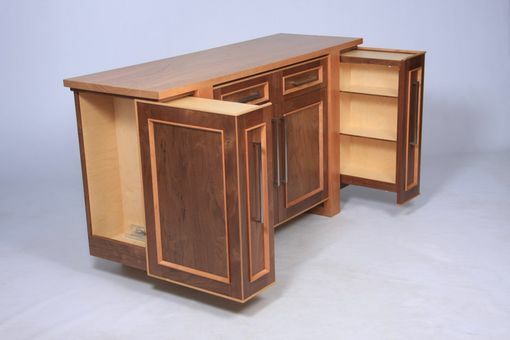 The Modern Entertainment Center blends a cherry and walnut exterior with a maple veneer core plywood interior. The unit features two towers that extend to hold CDs, DVDs, and VHS tapes. 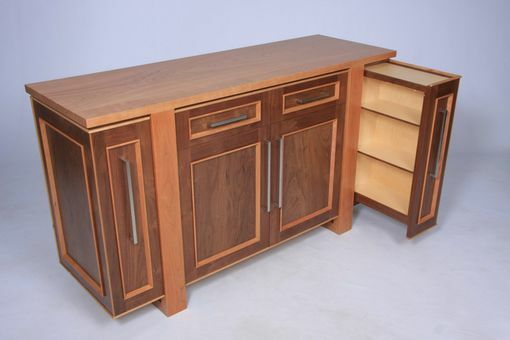 The drawers feature half blind dovetails and the towers and drawers slide on Blum full extension soft close under mount drawer slides for smooth and quiet operation. The doors feature Blum soft close European cup hinges. The interior of the entertainment center contains an adjustable shelf and features an anodized black aluminum air inflow grill and wire chase. The center space also contains a silent dual fan exhaust unit which expels warm air from the interior cavity to avoid overheating the audio-visual equipment. 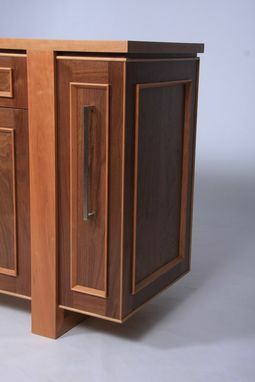 Most prominent in the design details are the legs which wrap under the unit from front to back, the angular detail trim on the door panels, and the cavity revealed when the towers are extended. The unit features solid stainless steel pull handles by Linnea. 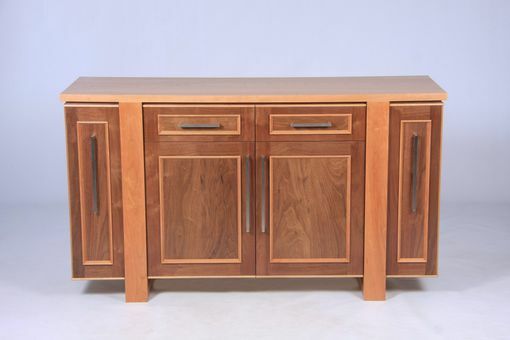 This item could also serve as a side board or serving buffet. 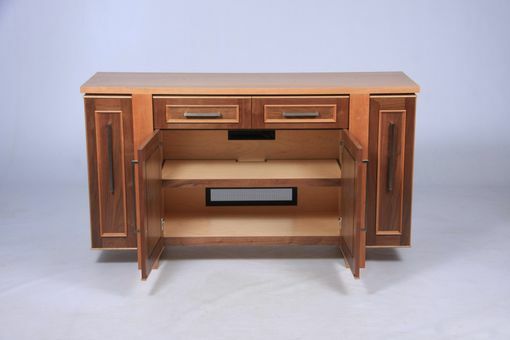 The Modern Entertainment Center is customizable in both, dimensions and wood selection. 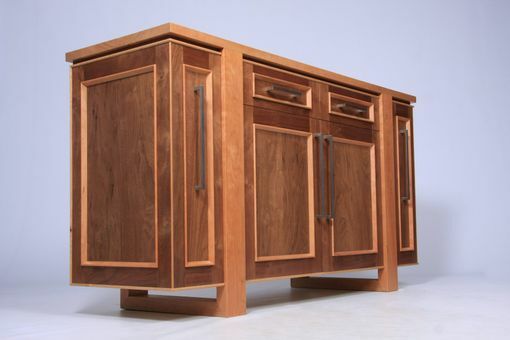 Price may vary with altered dimensions, different species of wood, or different pull handle hardware. - Stainless steel pull handles by Linnea. - Wood - (Cherry, Walnut, Hard Maple, American made Maple veneer core plywood) - Contact me for customization with different woods.